The Allen School's Ph.D. process consists of three components: coursework, research, and thesis preparation. In your early years, you will be taking courses from an array of graduate topics covering theory, systems, programming, and application areas. You will also be developing and refining your research skills; these skills include information analysis and synthesis as well as written and verbal presentation capabilities. This period culminates in one of the three gateways that you must pass through to proceed toward your degree, the Qualifying Evaluation. Once you pass through the 'quals' gateway, you earn your Master's degree and begin the second main portion of your doctoral work. In this period, your coursework lightens, and your focus turns toward more intensive research efforts aimed at defining and intellectually pursuing a specific thesis topic. During the last two months of this period, you begin General Exam activities. These involve the analysis of assigned thesis-related research papers, the preparation of a written report based on that work, and the presentation of findings to a select audience. Passing through the General Exam gateway, which culminates in a Candidacy of Philosophy, lets you begin the most intensive phase of the process, thesis preparation. It is in this stage that you integrate all of the skills you’ve learned in the past to focus on the research that will form the core of your thesis. You finally produce the complete written dissertation document and orally defend your dissertation before an examination committee. The successful culmination of these activities yields your Doctor of Philosophy (Ph.D.) degree. Through all of these activities, you will receive the support and guidance of our lead academic advisor, an Allen School faculty sponsor, one or more faculty research advisors, many mentors and friends, and a collegial and success-oriented department. We wish to ensure that your experience is positive, highly productive, and even enjoyable, and that you are fully prepared to be successful in whatever career you seek following your Ph.D.
Of course, the actual five-year doctoral process contains a myriad of academic requirements: credit requirements, TA requirements, specific procedures and deadlines, and built-in progress reviews. These are described thorougly in the pages of this section. Please keep in mind that the actual process will vary for each individual, as well. Some of you will complete coursework earlier than others. Some will schedule General Exams in year 3 and some in year 4. 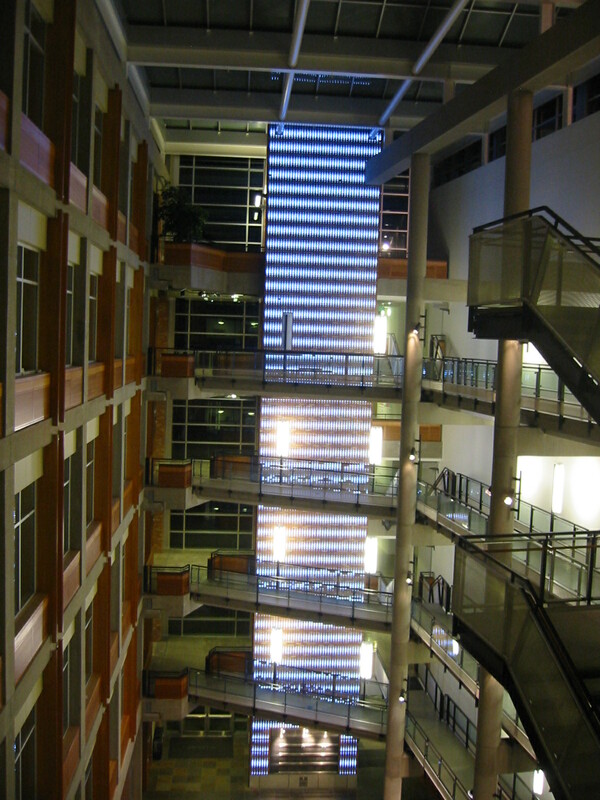 A total of approximately 90 credits is required to complete the CSE Ph.D. program, 60 of which must be earned at the University of Washington. The University requires 60 credits earned before scheduling the General Exam and requires a cumulative GPA of 3.0 for graduation. Coursework taken toward the M.S. degree is applicable toward the Ph.D. degree. 45 credits minimum must be from the Computer Science & Engineering curriculum. 15 credits may be in supporting fields, such as: engineering, mathematics, natural sciences, business administration, linguistics, philosophy, psychology, or medicine. 6 courses (or waivers of CSE courses) must be qualifying courses completed in order to pass the breadth component of the Qualifying Evaluation. See Qualifying Evaluation Requirements for specific details of qualifying courses, waivers, and minimum credit requirements. 4 post-quals courses numbered 500 or above (or graduate courses in related disciplines approved by the Qualifying Committee) must be completed for graded credit, in addition to the 6 courses taken to satisfy the breadth component of the Qualifying Evaluation. At least 2 of these 4 additional courses must be CSE courses (or waivers of CSE courses) unless there is written approval by the student's research advisor and the Qualifying Committee. 40 credits must be in 500 level courses or above. 27 credits must be Computer Science 800 (dissertation). A note on course waivers: Students may petition to count graduate courses completed at other schools toward course requirements if the course is equivalent in depth to a graded CSE graduate course. The department will not consider waivers for non-CSE graduate courses. TA home page. The Graduate TA section details appointment policy, roles and responsiblities, remuneration, and how to apply. Contact Pim Lustig, TA Advisor, for specific information. TA/RA Funding Policies. This page provides basic information on TA and RA funding and CSE policies on summer funding and funding options in the event of NSF (or other) awards and fellowships.